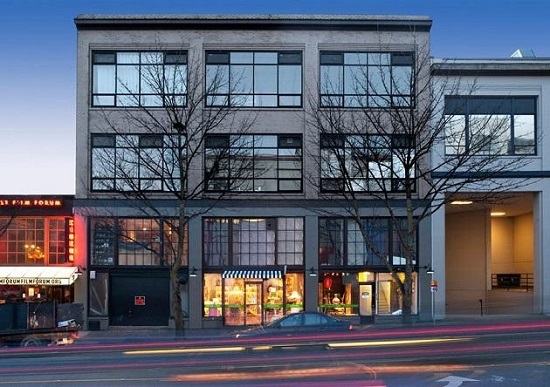 The Ballou Wright Building is located between E. Pike Street and E. Pine Street in the Capitol Hill neighborhood of Seattle. Capitol Hill is one of Seattle's more prominent nightlife and entertainment areas and is considered the center of the city's counterculture communities. Prior to the filming of the series, the creative office space was available for lease. The Ballou Wright Building is located 2.3 miles from Pier 70, used in the filming of the seventh season. The space is now leased to The Riveter, a coworking space for women.